Well, I bought fabric and I haven’t really completed anything, despite make progress on a few things. 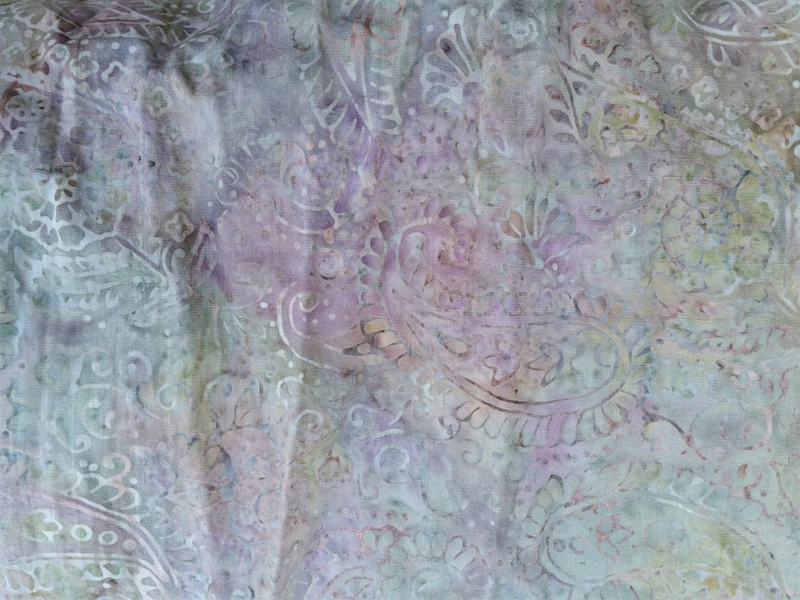 This batik will be a backing, so hopefully it can be counted out soon. The warm weather is really slowing sewing production! However, I’ve inched along and gotten a few things done in the past two months. 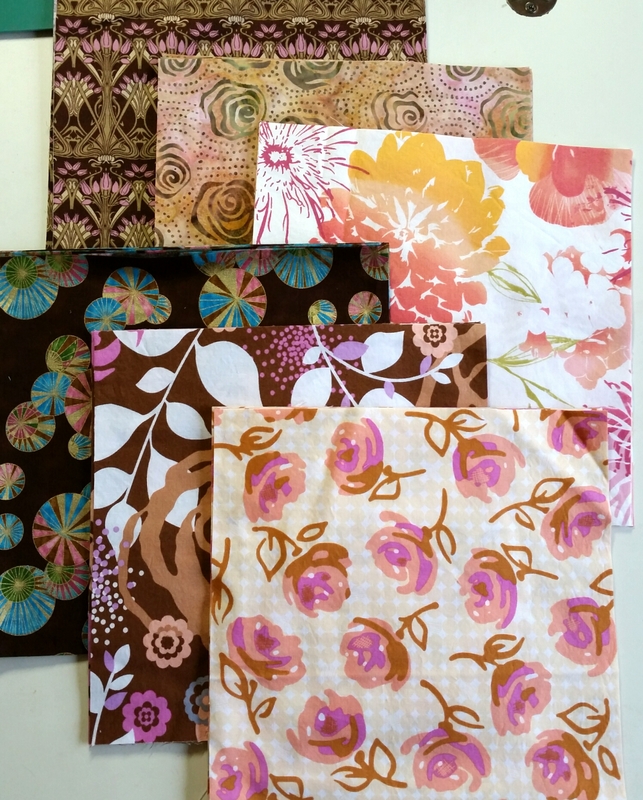 Make blocks for Kat’s May/June block drive. Begin the Twilters! facebook group quilt along. Make backing and sandwich Surrounded by Scraps. Hope youre making all of your goals! I haven’t been here in a long time! First, we spent a few weeks on vacation. Since we’ve returned, the weather has been so warm that we’ve worked outside nearly every day. And, it’s getting to that time when the upstairs sewing studio is hot and not as attractive. 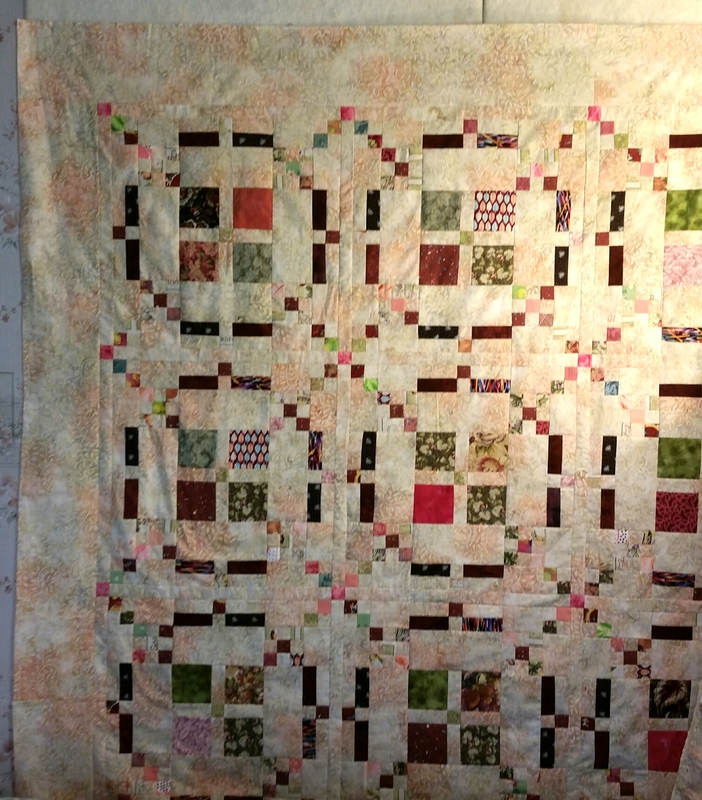 I have managed to put together most of the top to Surrounded by Scraps, Charlotte’s mystery quilt for this year. The top three rows are complete, and I’m almost finished with the bottom two. I’m quilting this in two sections and putting them together later. And I cut my “layer cake” for the Twilters! 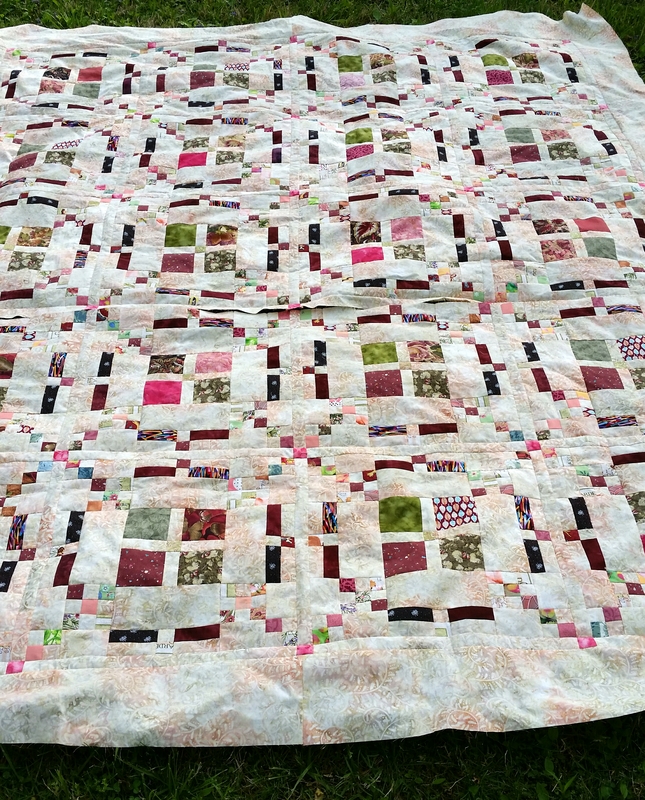 quilt along in May. 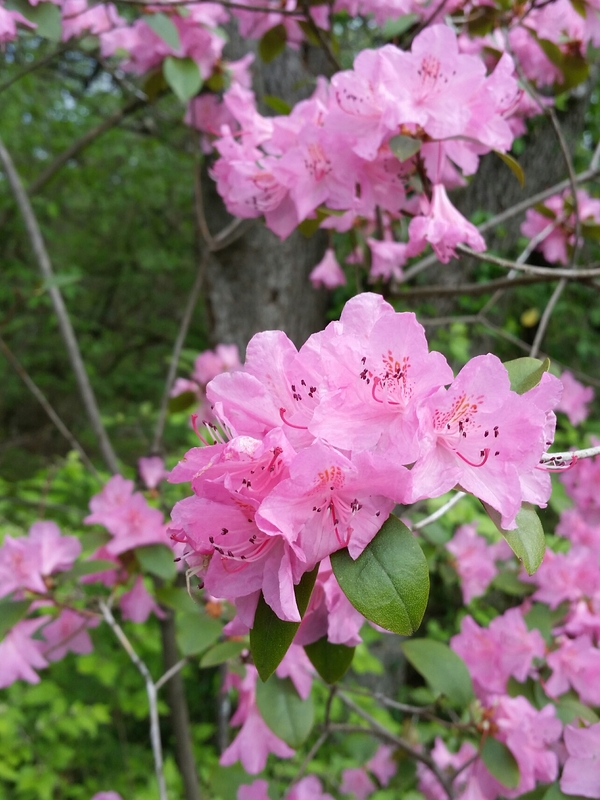 Hope you’re enjoying the spring (or fall!) weather.